There are market shifts in the Microsoft Dynamics world with 365 that are radically changing consumer expectations. The role of technology has never been more important for businesses to stay competitive and to enhance your customers’ experience. Your Dynamics 365 environment can easily integrate with other systems, software and apps from all major vendors to optimize data communications and transform your IT into a strategic asset. Help your business stay ahead of the game by constantly being on the lookout for solutions to transform your processes. 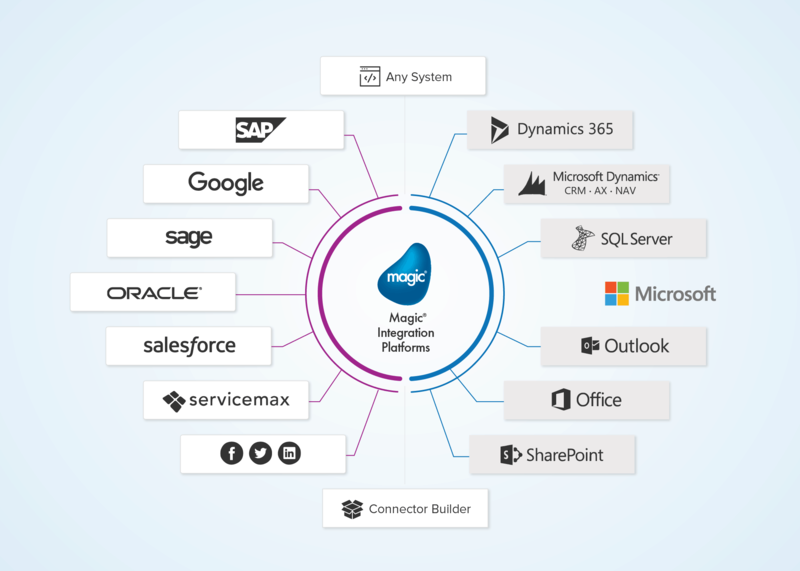 Magic xpi is future-proof, helping you meet your integration needs, which are mainly driven by external trends, business needs and a diversity of systems. By implementing Magic xpc iPaaS, you can even run everything on the Microsoft Azure platform. With Magic xpi as a central data hub, ASSA ABLOY (Switzerland) AG has a fully integrated Industry 4.0 landscape that connects three central IT systems for the automation of production orders: a Dynamics CRM-based production information system, Infor COM ERP, and a custom lock management system.